AMD has formally showcase its eagerly-anticipated Fusion accelerated processing unit – codenamed Llano – at its Annual Technical Forum and Exhibition. The Fusion technology has been on the horizon for a long time, and the Llano APU is a major play by AMD as it looks to compete with Intel. 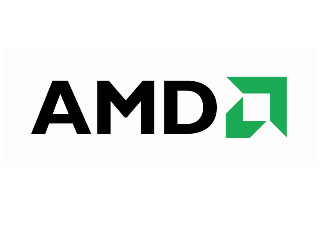 AMD's APU aims to bring its renowned graphics processing together with the central processor, providing a hybrid that can compete in today's market. The demonstration showed off the Llano simultaneously processing three "compute and graphics-intensive workloads' – including calculating the value of Pi to 32 million decimal places, and decoding HD video from a Blu-ray disc. "The serial and powerful parallel processing capability of the Llano APU has the potential to make OEMs and consumers re-think their computing experience," said Chris Cloran, corporate vice president and general manager, client division, AMD. "The experience potential of Llano is truly incredible, and the demos we showed today on stage provide a glimpse of what this processor is capable of delivering in sleek form factors with long battery life. "Everything consumers love about their digital lifestyles today – social networking, gaming, consuming and creating media – can be enhanced with Llano, enabling a more interactive, vivid and immersive experience."